Buildings comprise the second largest area of expense for churches. A permanent building comes with an array of ongoing and hidden costs. There’s maintenance, repairs, cleaning, electricity, Internet, phone and security services. Together, these costs can comprise between 30% to 40% of a church’s budget. Fortunately, used modular church buildings can help accommodate extra members while cutting costs with every step of the way. But choosing the right company is absolutely vital to getting the results your church needs. Here are just a few qualities to prioritize when looking for the perfect modular church construction company to fill your project needs. Versatility is a major factor when it comes to choosing the right used modular church building company. Modular buildings can be customized countless ways, and the company you choose should be more than willing to work with you on your project specification needs, ensuring that all of the building’s features are up to standard. If you don’t choose a company with sufficient experience in this area, you may have to work with one of very few existing templates that may or may not be enough for the growth your church is experiencing. Roughly 51% of Americans say they go to church or another worship service somewhere between once a month and multiple times per week. That being said, if you’re trying to accommodate quick and sudden growth, it helps to choose a construction company that has the resources to complete the job in a time frame that works for you. Delivery times will vary depending on the needs of the project, but a modular building can be built and delivered in as quickly as 12 weeks. 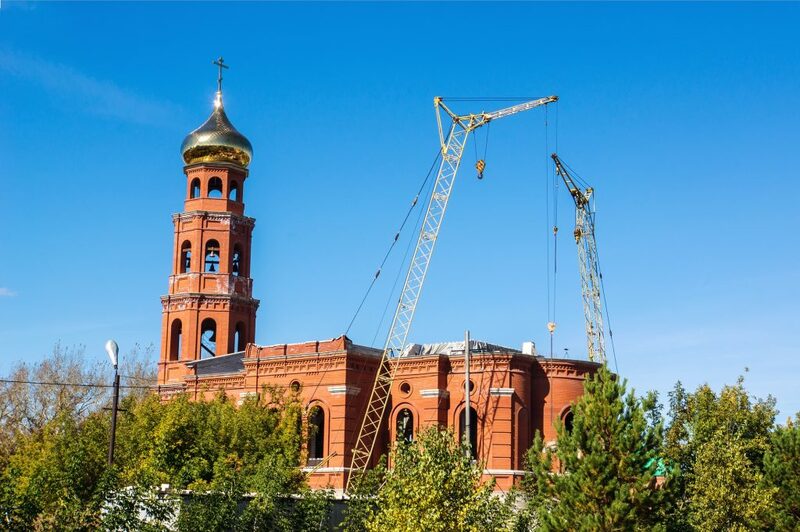 This makes modular construction ideal for all types of church expansion projects. Finally, consider the overall reputation of the company. Take some time to look at reviews online, and don’t hesitate to ask for some clients you can call to hear about their experience. Reputation is critical with any construction company, but with modular construction, it can make or break your project result. Ultimately, knowing how to choose the right modular construction company can help ensure your satisfaction with your church expansion project. For more information about used modular church buildings, contact ABS.